The Clock is Running: 8 Months at NASA and Counting! 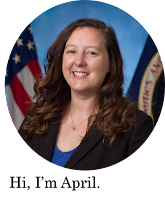 It's been a little over 8 months since I started my job at NASA, so I thought this would be a great time for an update! If you have been following along, you know that I recently passed a significant milestone - the Navigation Segment Review! This means that I am on to the next segment, "Attitude Control". Basically I am learning a lot about the ISS's 4 huge control moment gyroscopes and the software loops that control them. In addition to studying a ton, I have also started "mini-sims" as of yesterday! Mini sims are a way for new operators like me to get their feet wet, build their console skills and teamwork, and strengthen confidence before graduating to the full-scale "Integrated Sims". I have included a picture below which may help explain who is involved in a Mini Sim. Basically, the "four-core" systems are included since we interact with each other heavily in day-to-day operations and during station emergencies. ADCO (that's me) is top left and is responsible for vehicle attitude and control. SPARTAN is responsible for the space station's power (those big solar arrays) and thermal control (heat rejection and outside cooling loops). 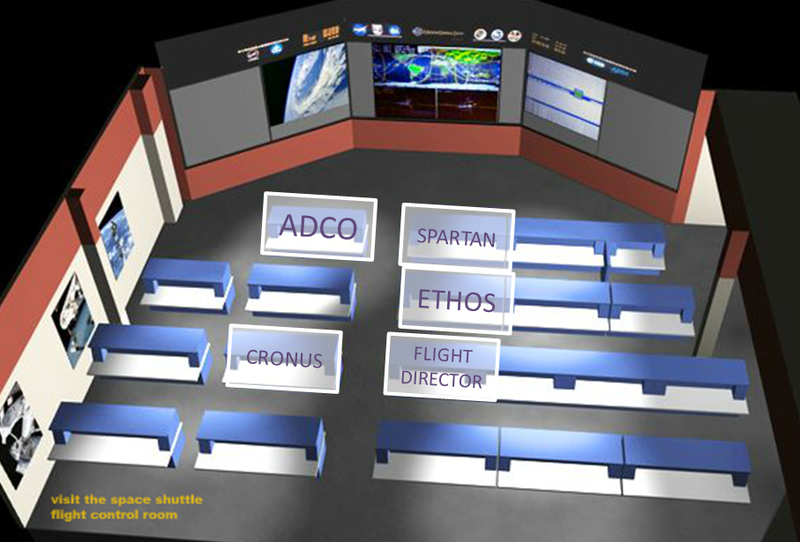 ETHOS is responsible for the environment within the station and thermal control inside. Emergencies which may endanger the astronauts are often recovered by ETHOS. CRONUS is in charge of the computers on board the station and all of the communications (S-band, Ku-band video, etc). And the Flight Director, obviously is in charge of the flight control team as a whole. During a Mini-Sim these are the positions that are represented and failures are presented to help us learn to interact and coordinate with each other before complexity is added with the entire flight control team. I will go through about 25 weeks of these types of sims before getting a "GO" to continue on with Integrated Sims. Yesterday's mini-sim was fairly simple. It was a chance to get used to talking on the "loops", running procedures and responding to a simple failure. It was a great confidence builder and I'm so excited to see how I can handle more advanced failures! Do you have a question about my job as a Flight Controller in Mission Control? Shoot me an email at nerdyapril@gmail.com! I love coming here and reading about your NASA life. Living vicariously through you. Thanks for the update!